Hey everyone! 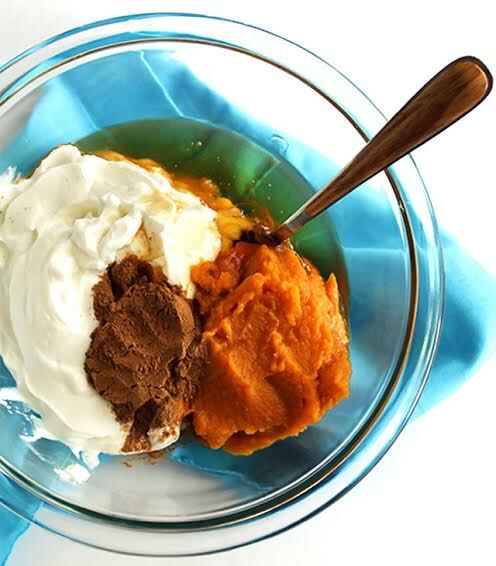 While I'm off in Europe today, I'm so excited to introduce a delicious fall recipe I know you'll love from my sweet friend Emily from Robust Recipe! Go check her out and let me know what you think of this delicious fall sweet treat! You know how it’s not even officially October yet and everyone is talking about pumpkin spiced lattes and pumpkin spiced this and pumpkin spiced that? And you so badly want to jump on the pumpkin spiced train and enjoy all the warming, yummy baked goods. BUT you don’t want to bake because it’s still kind of warm were you live - I’m looking at you Florida – that’s when you need this Pumpkin Spiced Yogurt Bark in your life! Don’t worry you can still make this Pumpkin Spiced Frozen Yogurt Bark even if you are living in a cooler climate. I won’t discriminate. 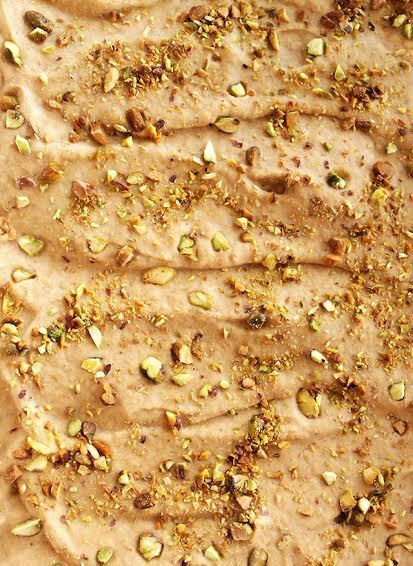 I know you’ll love this Pumpkin Spiced Frozen Yogurt Bark: It’s creamy, refreshing, pumpkin-y, with plenty of warming spices, and topped with crushed pistachios for a little crunch. Who doesn’t want that?! Best part is that Pumpkin Spiced Frozen Yogurt bark is super easy to make. 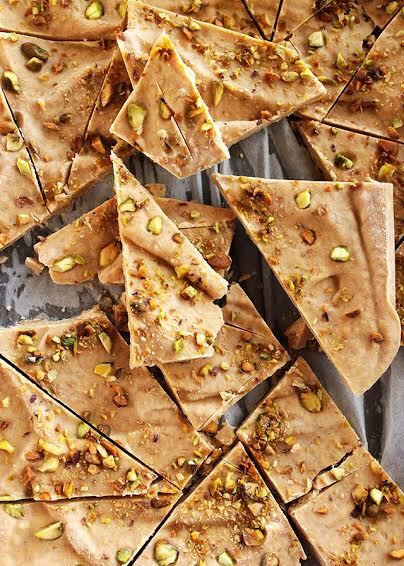 All you do is mix up all the ingredients and spread it onto a baking sheet lined with parchment paper, top with some crushed pistachios and pop it into the freezer for 4 hours! The hardest part is waiting for it to set up! Then you cut it into pieces and enjoy straight from the freezer. Pumpkin Spiced Frozen Yogurt Bark has protein from the Greek yogurt so it makes a great snack or even a healthy dessert. Plus it lasts for up to 1 month in your freezer so you can always have it on hand – snack prepping FTW! Let’s embrace fall my friends – wherever you happen to live by making a batch of this tasty Pumpkin Spiced Frozen Yogurt Bark! 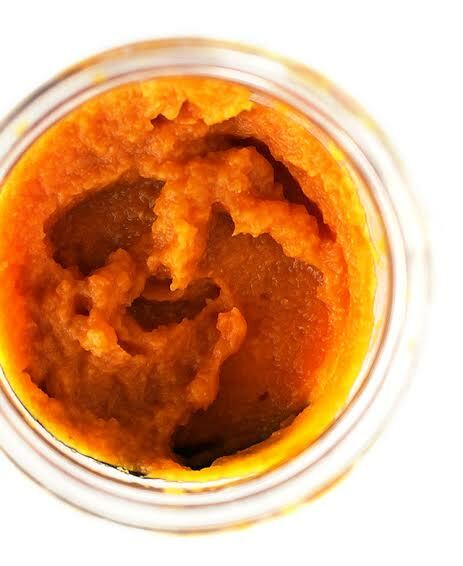 I see all the pumpkin spiced goodies in your near future! Line a small rimmed baking sheet with parchment paper so that the edges of the parchment paper are overlapping the edges of the baking pan. Set aside. In a small bowl combine all of the ingredients EXCEPT for the crushed pistachios. Taste and adjust flavors as needed. 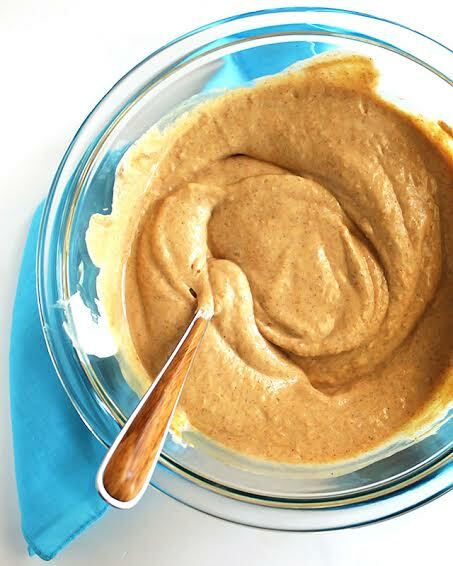 Add more pumpkin pie spice if you want more warming spices, or more honey for more sweetness etc. Pour the mixture onto the prepared baking sheet. 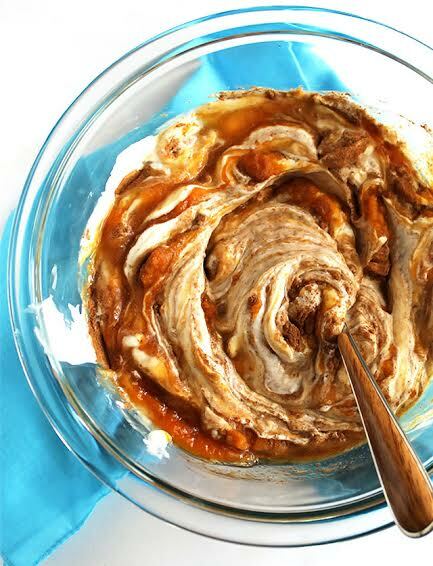 Use you spatula to spread the mixture out as evenly as possible. Sprinkle the crushed pistachios over top of the yogurt mixture. Gently press any bigger pieces into the yogurt so they stick. Place the yogurt bark in freezer for 4 to 8 hours or until the bark is completely set. Once the bark is set remove it from the freezer and give it a minute to warm up a little. Use the edges of the parchment paper to lift the bark from the baking pan, and transfer it to a cutting board. Use a large chef’s knife to cut it into pieces, any size you prefer. Immediately place the bark into an airtight container and store it in the freezer. Enjoy pieces straight out of the freezer. It will keep for up to 1 month. What's your favorite pumpkin dish?